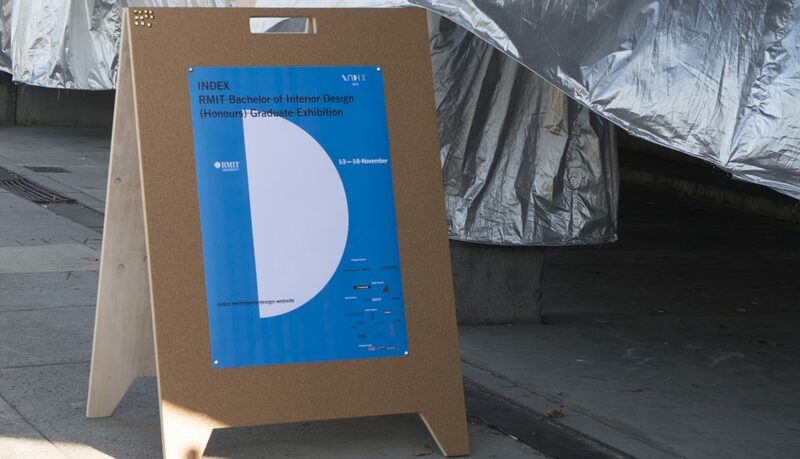 The Bachelor of Interior Design (Honours) is a four-year degree offered in the School of Architecture and Design at RMIT University. Since 1948, the program has engaged with the discipline of interior design as an idea-led practice that attends to the relationship between people and environments across a range of scales, mediums, and techniques. In the 21st century, the definition of ‘interior’ can no longer be equated to the inside of a building; conditions of interior and interiority are increasingly affected and transformed by contemporary technologies as well as social, economic and cultural forces. Students experiment with and project the future of interior design practice.